We are a family-owned winery and member of the Family of Twelve; Twelve prestigious family-owned wineries around New Zealand. Grapes are selected to harness the different sub-regional flavours of Marlborough’s terroirs. State-of-the-art facilities combine with traditional winemaking techniques: In 2000 we opened the first dedicated Pinot Noir winery in the Southern Hemisphere and In 2006, we completed a separate energy-efficient white winemaking facility. Whilst Nautilus wines can be enjoyed on their own, belief in the marriage of fine wine with food is a driving force for winemaker Clive Jones as he crafts each into a sophisticated and elegant wine. 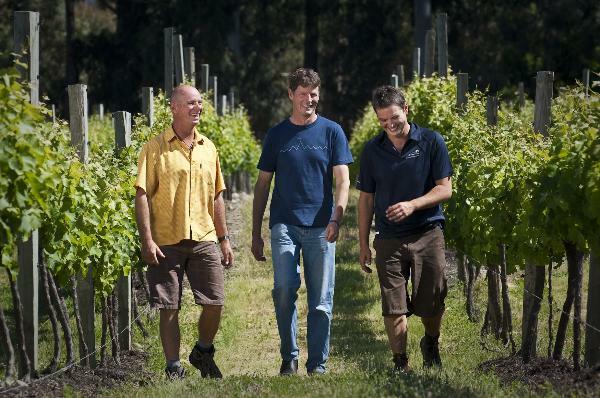 Our Cellar Door hosts will guide you through our wines and introduce you to our story. The landscaped grounds are the perfect spot to sit down, relax and enjoy the Marlborough weather. As well as our own award-winning wines, you can try a cheese platter of specially selected artisan New Zealand cheeses. Winery Tour We can offer a personalized tour of the winery with one of our winemaking team by prior appointment.